Ladies and gentlemen! People from all over the world, we present to you the bout of the decade, perhaps even the century – Bing vs Google! Who will win this final showdown? Which is the best search engine? The champion in the search engine category, this monster has been on the top for almost two decades. Being champion for so long might make one malinger, but not Google. It has been on top of its game, delivering punch after punch. 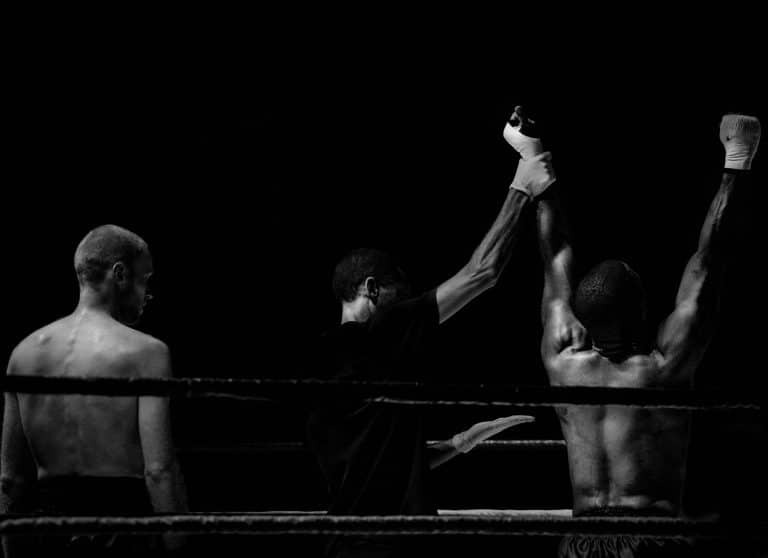 The champion defeated the keyword stuffers and the backlink farmers. Also, it vanquished every other possible black hat contender that had its try in the SERP ring. Currently, the “Almighty” holds almost 90% of the search engine market! The runner-up for the title, poor Bing has always been behind Google’s feet. It never managed to get close to the giant. A child of Microsoft’s MSN and Windows Live Search, you’d expect it to live to become great. But, it struggles. Together with its buddy Yahoo, Bing holds almost 7% of the SERP market. So, hold on to your seats, the bell for round one is just about to ring! The two contenders are very similar (except for the logo and the nice background in Bing). But, that’s where similarities end. In truth, they’re much different. Yes, we can hear the crowd spouting “Google, Google” in unison, but don’t write the underdog off yet. Bing has a lot of tricks up its sleeves. Did you know that Bing has better video search than Google? You heard that right. Don’t trust us? Compare them! Go on both search engines’ video search and type anything. Google displays 9 video results each under the previous. And, clicking any of it leads you to the site the video is located. Bing shows its video results similarly to Google’s image search. The videos are 5 in a row and the columns load more video related to the search when you scroll down. And, the best part is that you can play a video without leaving Bing! Video search isn’t the only place where Bing excels! Bing also tends to show more autocomplete suggestions than Google. Bing is better at displaying social media results. This is because it integrates shares from friends and followers in the SERP results. But, Google is better in other fields! Google offers better image searches. Reverse image search is the most ingenious search you can do on the internet. Also, it offers better shopping suggestions and better online prices. Besides Bing’s efforts to give what Google’s already giving, it still doesn’t contain a lot of features. Such are health information and movie/video games release dates to name a few. Not a Factor, But Still a Difference! Bing puts the “related searches” to the right of the search results (kind of like the old PPC ads). Google puts them at the bottom of the page. After many punches thrown about, Round 1 ends in a draw! Google gets its power by RankBrain, which enables the giant to learn continuously. This AI algorithm delivered the final blow to black hat SEO, despite the attempts to go under the radar. It’s constantly evolving and adapting. Compare this with the manual upgrades Google officials had to roll out and you get the point. RankBrain is all about user experience. You write content for the user and sprinkle it with keywords and semantically related searches. If you can’t do it better than your competition, the “Almighty” will punish you with its fists of fury. Under the hood, Bing is much like Google was back before the machine learning RankBrain. Still, Microsoft doesn’t disclose much info about algorithm updates. But, we can work with what we have. Although the “Underdog” values exact match keywords, it also values Natural Language Processing. NLP is an AI that tries to understand the language patterns of humans. Also, Bing values forum up-votes (looking at you Reddit) and user behavior. Such examples are clicks and their connection with the search itself. Both Google and Bing do love a user-friendly site. But, besides this, there are many other factors that contribute to the organic ranking. Both search engines love backlinks. But, they love them quite differently. Google loves high authority backlinks, even if they are few. Bing loves a lot of backlinks. Still, this doesn’t mean you should go and buy backlinks from Fiverr. At the end of the day, both have a low tolerance for spammy backlinks. Unlike Google, which is a text-based search engine, Bing can read videos and Flash. Still, Flash isn’t worth using because Google heavily penalizes it. Google prefers mobile searches. Bing also takes mobile optimizations as a ranking factor. But, it doesn’t put as much weight on mobile friendliness as Google does. Hell, the champ even supports the Accelerated Mobile Pages (AMP) initiative. Round two winner: Google the “Almighty”! Although Bing did put up a fight with the NLP artificial intelligence, it can’t compete with Google’s RankBrain. The “Almighty” is the winner of round two! When it comes to functionality, the two search engines are not as different as you might think. Both do their job quite decently. You search for something. And, both engines do their best to show you what they think is most relevant to that particular query. Functionality, sadly, includes paid marketing too. So far, Bing the “Underdog” might’ve been giving the champ a run for his money. But, paid marketing is where the champion will never be beaten. You see, Google’s network is HUGE. And, it includes YouTube, the second largest search engine in the world (or so we’re told). Side note: Google’s Image Search (a separate search engine) has more searches than YouTube. But, we digress. YouTube is only the top of the cake though. The Google Network includes a vast number of sites that are partners with Google. These sites display the PPC ads on their pages. Bing paid marketing having higher CTR and conversion rates doesn’t matter. The sheer amount of users Google has mean bigger spends but also bigger profits. Google remains the undisputed champion of the search engine championship. But, Bing did give a hell of a fight. In a perfect world, Bing would’ve held 50% of the search engine market and Google would’ve had a decent competitor. But, this won’t happen (at least not soon). Still, this doesn’t mean you should ignore Bing. The underdog has lots of hidden values that you can use. Jokes aside, don’t look at Google and Bing as only the one or the other. Let Google and Bing think about that. They are the competitors, and you have a ticket for the front row. What you should instead do is optimize for both and use both for paid marketing! Bing is a gold mine. 7% of the global search engine market is actually a huge amount. Top that with the reports that say over 30% of the people in USA use Bing instead of Google. And, because there are fewer users on Bing, this means less competition. Low first page bids, here we come! I was told that you are using [redacted] E-Mail Scraper. Would you recommend it? Is it good for gathering leads? No, I don’t think we’re using that at the moment.